The Vegan Mouse: No new food pics today. Hey all! Nothing new today in food. 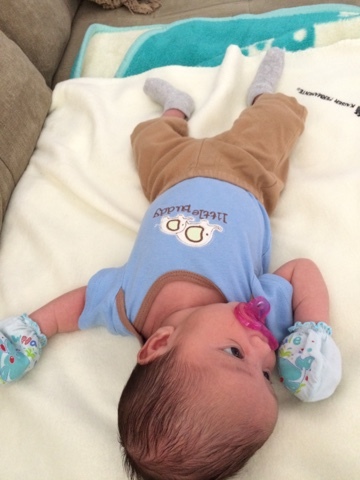 Since Hank was born three weeks ago today, I've been living on Boca burgers, sandwiches, baked Lays chips and sometimes soups if I have time to make it! I miss making nice meals but hopefully I'll get to do that again soon. In the meantime here are some pics of Hank Bowie! Hank is soooo cute! 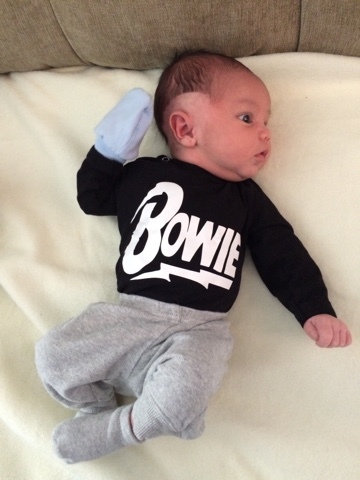 I love his little Bowie shirt!! Ohmygoodness what an adorable little boy. A big congratulations to you.